The correct determination of the direction of the primary trend is the most important factor in successful speculation (trading and investing). 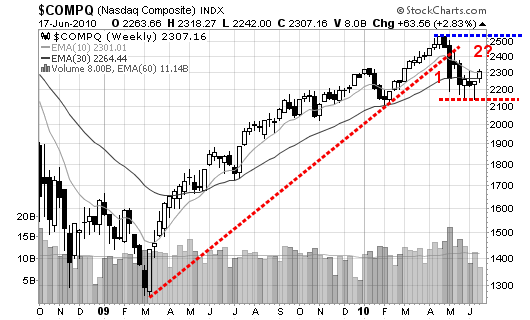 The primary trend (also referred to as movement) is the broad basic trend generally known as a bull or bear market lasting a period of time from less than a year to several years. 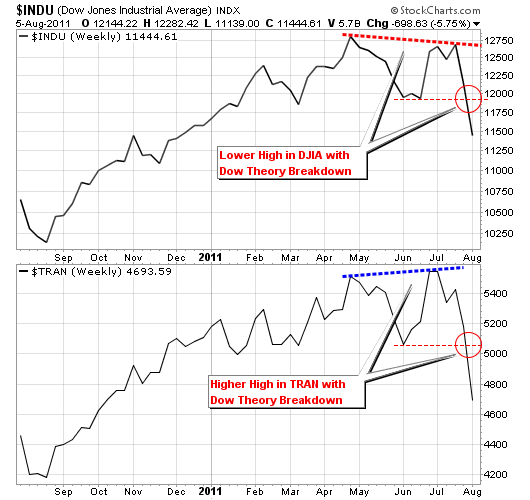 The primary trend is the most important of the three movements discussed within The Dow Theory. 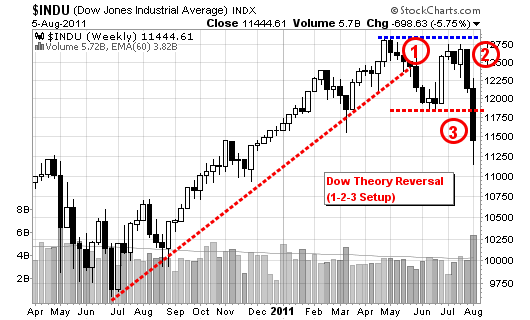 The Dow Theory also includes movements such as the secondary reaction and the daily fluctuations. I am not interested in daily action because these short term movements are typically unimportant. The purpose of this post is to highlight the Principle of Confirmation which states that The Two Averages Must Confirm. The authors note that this principle has often been questioned and is the most difficult to rationalize of all the principles yet it has stood the test of time. “the fact that it has “worked” is not disputed by any who have carefully examined the records. Those who have disregarded it in practice have, more often than not, had occasion to regret their apostasy”. 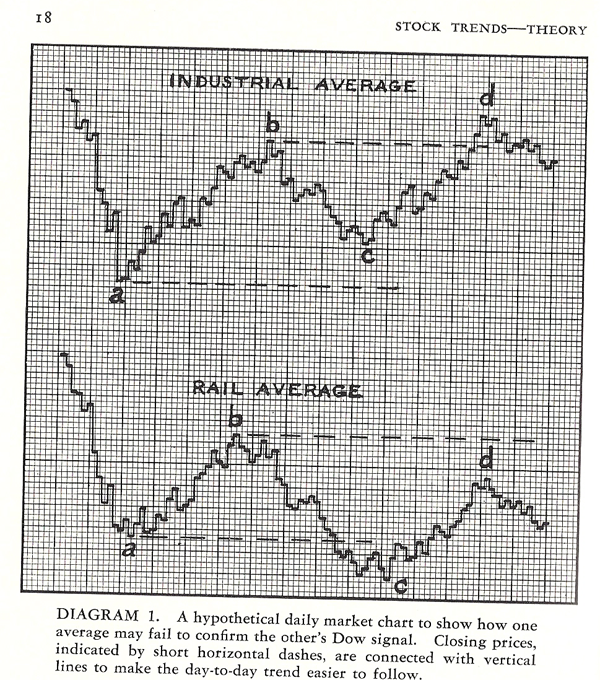 “What it means is that NO valid signal of a change in trend can be produced by the action of one average alone”. 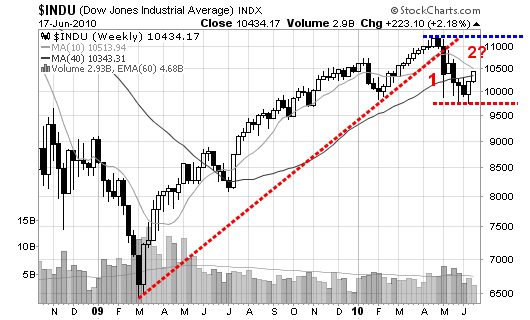 Now take a look at today’s Dow Jones and Transports. Do you see any similarities? 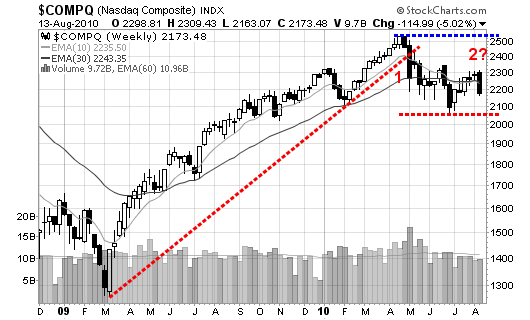 Of course you do, the Transports have not confirmed the change in trend along with the DOW. 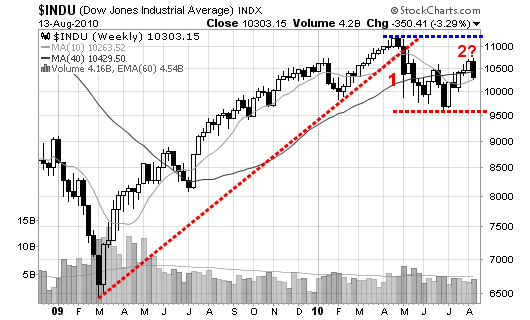 In fact, the $DJIA is now back below the resistance line after this week’s negative action. Many traders on StockTwits, Twitter, blogs and TV (if you still watch financial television) are miffed about the action of the market over the past several weeks, particularly the past week. Well, the trend hasn’t confirmed so the risk is still high that the so-called “leaders” are setting up for failure or head-fakes. 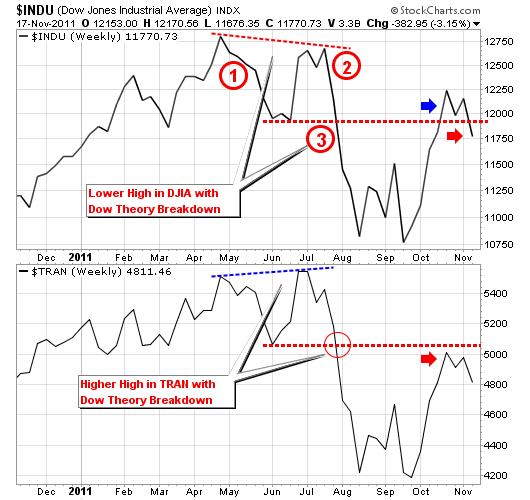 I’ve started to sound like a broken record with my Dow Theory tweets but if it is fact, it is fact. As traders, we must be patient and wait for the confirmation before loading up on new shares. 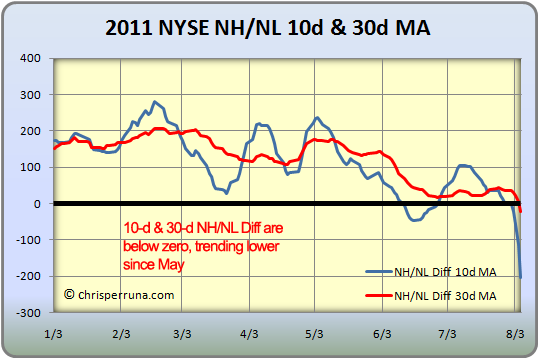 A trend change may still occur but we must cast a shadow of doubt until both averages confirm. Please note that “railroads” have been replaced with “transports” in today’s world. Trading can essentially be broken down to managing risk and as Victor Sperandeo stated, “market forecasting is a matter of probabilities; the risk of being wrong is always present”. So why tilt the risk against you if history shows us that both averages must confirm for a sustainable change of trend to take place. It’s a wacky world out there but the rules haven’t changed so wait for the confirmation before jumping in with both feet. 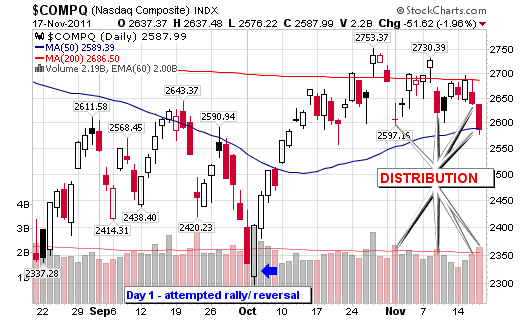 Market observation from Thursday, November 17, 2011: The NASDAQ has now flashed four distribution days since the start of the month. 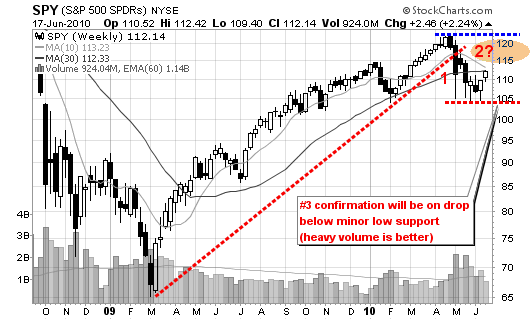 This is a red flag and a signal to lock in profits and sell losing positions before they grow in size. 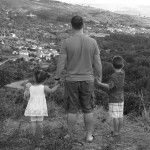 Continue to follow me on twitter for daily tweets, charts and links to great articles. 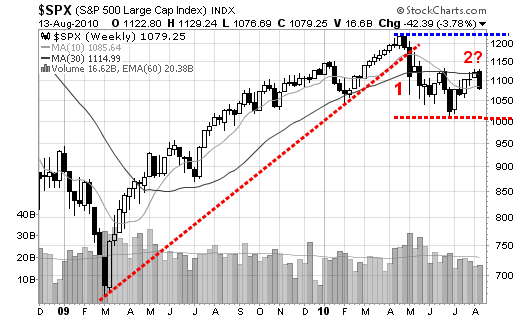 Is the market headed for a reversal or an “up” trend continuation? I don’t know nor does anyone else but what we can do is sit tight and get ready to trade the confirmation, whether it is up or down. 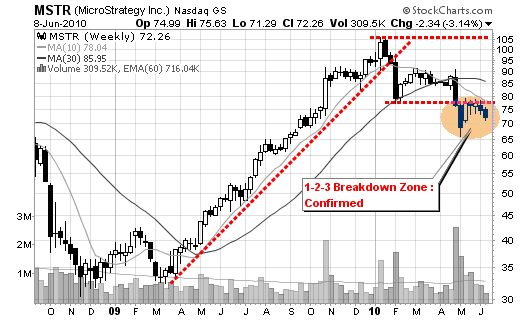 A break of support is a signal to begin shorting the market. 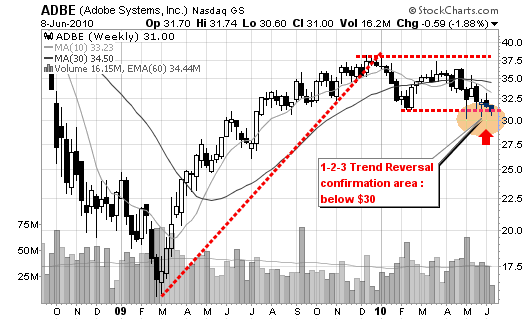 A move above resistance will be a signal to buy breakouts. 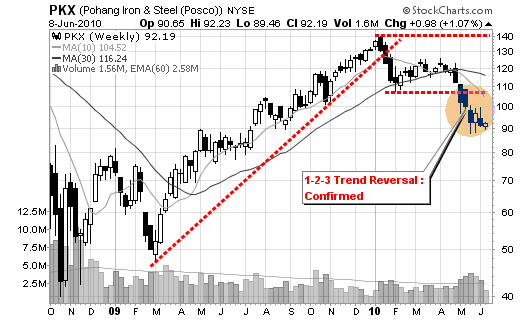 June 17, 2010: Trend Reversal Coming…? 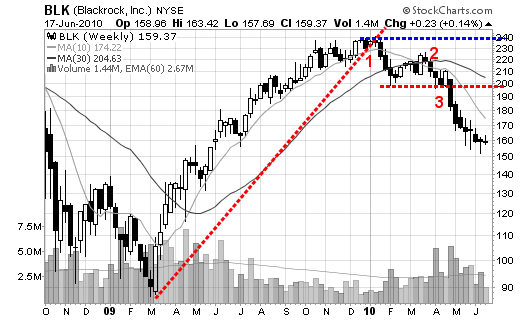 Will the Nasdaq, Dow Jones Industrial and S&P (SPDR’s) confirm the 1-2-3 Trend Reversal like Blackrock has? Time will tell, give it another 1-3 months to confirm (September may be the time but I can’t tell you for sure). Wait for the confirmation before taking the short trade. A move above the “blue” line breaks the pattern setup! I can tell you this: The trend has been challenged, the minor low has been established and now we are looking to work on “point #2”. A failure to recover the blue line will establish point #2. A violation of the horizontal red line will confirm point #3 and trigger the short play: TREND REVERSAL CONFIRMATION. Traders must have patience as “we” look to capitalize on the 1-2-3 pattern. Using the chart samples below (real time 1-2-3 pattern confirmations), we can see that the typical setup takes anywhere from 4-6 months to confirm. Continue to follow me on Twitter as I will be highlighting the dozens of potential candidates over the next several weeks. I can’t say that all or even if many will confirm but if the major indices confirm the pattern, it will be like taking candy from a baby on the short side. 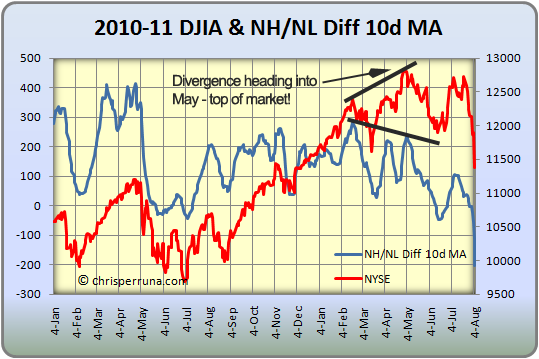 As you may know, nearly 75% of the stocks in the market follow or move in the same direction as the overall indices. This could get fun. I am currently looking for a short term bounce in the general market and the stocks on my “short” watch list (point #2 confirmation). 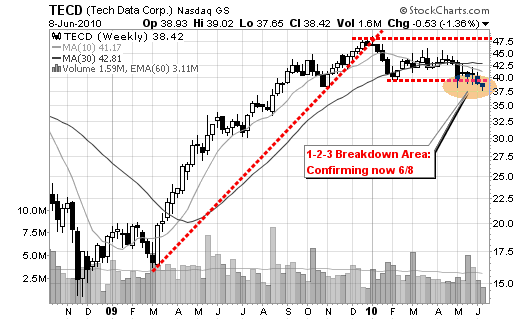 After point #2 forms, we then start to load up (on the action watch list) and look to short upon confirmation.